TRAP DESCRIPTION: 7" Wide x 7" Tall x 24"Long. 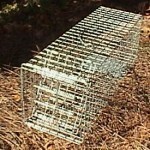 This Economy Live trap is ideal for small problems where only a few animals will be trapped. Made of light steel, it will work well inside or outside. It will catch small rodents like chipmunks or squirrels. It has a 1" by 1" mesh so it can hold most small animals but not something like a Flying Squirrel or Rat which can fit through this size design. 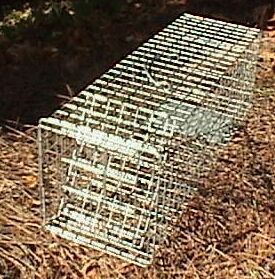 If you expect to be trapping either of these small bodied animals, get one of our models that feature the smaller mesh size to insure they can't escape once caught.